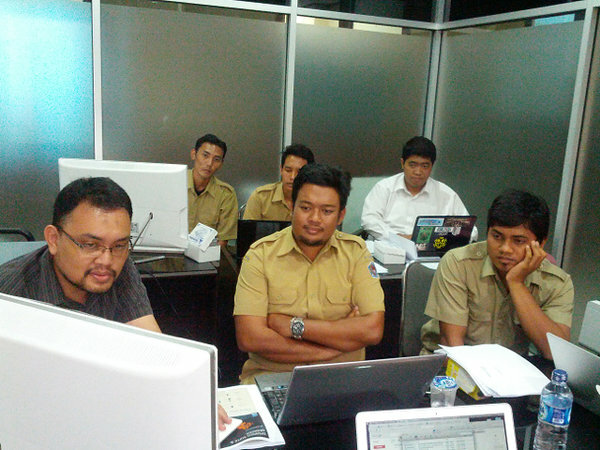 In the first year of the Indonesia City Planning Lab initiative, Denpasar built a City Planning Lab, hired dedicated staff, and begun geospatial data gathering and standardization, developed an online WebGIS for data sharing, hosted a participatory workshop, “Slum Settlements and Housing in Denpasar”, and begun raising awareness about the benefits of spatial data and analytics in the context of urban planning issues faced by Kota Denpasar. The CPL lead identified development of an information system and mapping all relevant data important for city planning, particularly demographics and zoning, as the first priority in CPL phase 1. 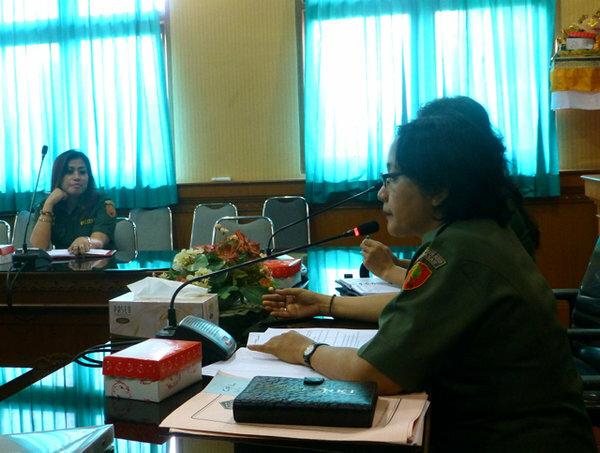 Housing settlements, solid waste management, and traffic congestion were identified as high priority challenges facing Kota Denpasar. Housing settlements were selected as the highest priority and an issue which encompasses the other high priority challenges in various ways, and therefore was selected as the focus of the participatory workshop and follow-on CPL work plan. 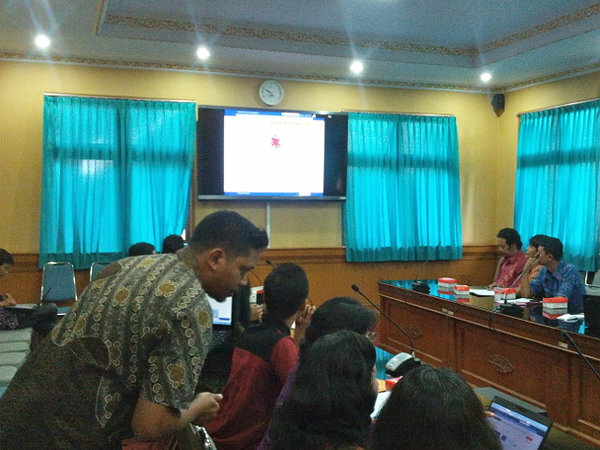 Accounts for team sharing within Kota Denpasar and remote sharing with consultants were created and integrated into workflows. For example, Dropbox was used for sharing some data and documents, Google was used for email and collaborative development of documentation and standard operating procedures, and Skype was used for communicating. 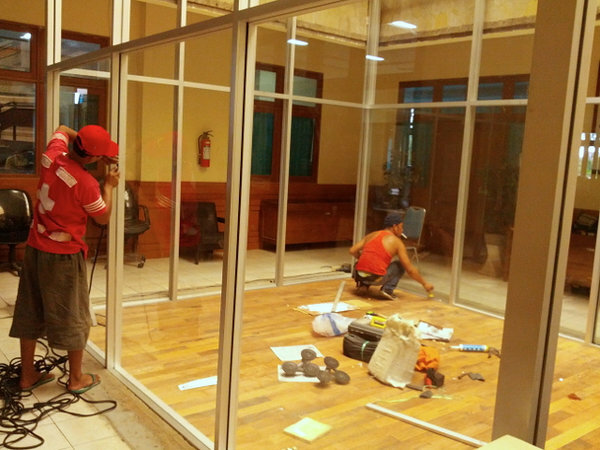 Construction of the City Planning Lab space and acquisition of new equipment, capable of doing analysis with Geographic Information Systems, and furniture began in October 2013. 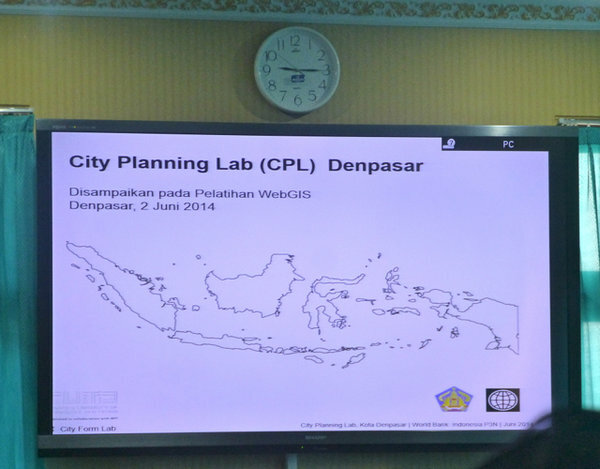 CPL staff were hired and began work in the new City Planning Lab in early 2014. Data gathering and standardization within Bappeda and across other departments has begun and plans are moving forward for collection of new data important for city planning. 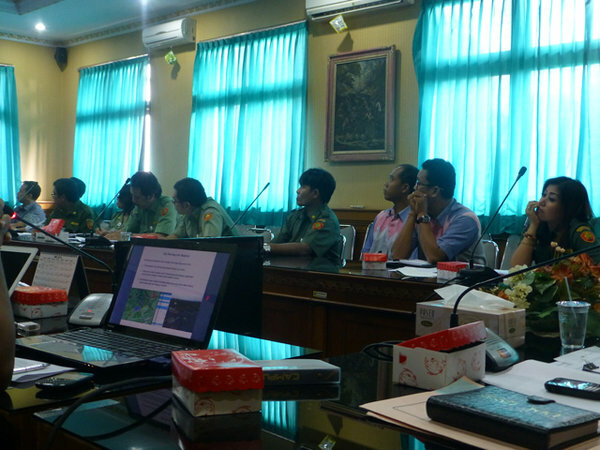 The week of WebGIS development, training and sharing began with a cross-departmental meeting in which the purpose of the WebGIS, expected outputs, existing data and recommendations for inclusion in the WebGIS, and an overall explanation about GIS, WebGIS, and the CPL initiative were introduced. Each invitee was individually called upon and invited to give comments and discuss. The desire was expressed from multiple departments. 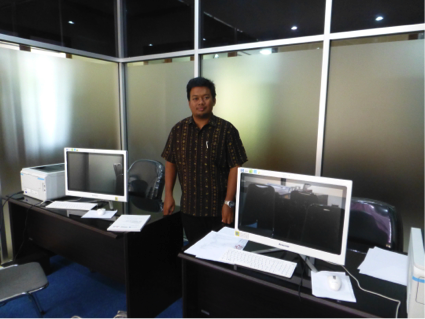 Kota Denpasar identified development of an information system as one of their top priorities during CPL inception. A WebGIS is a great way to share data across local government departments and with the public. The OpenGeoSuite and GeoNode are a WebGIS - a complete geospatial platform for managing data and building maps and applications. The software itself is free, open source, and follows Open Geospatial (OGC) standards, so there is the potential for interoperability with other systems that also follow standards, there are no questions about extra unanticipated software costs, ongoing software costs, nor licensing complications. 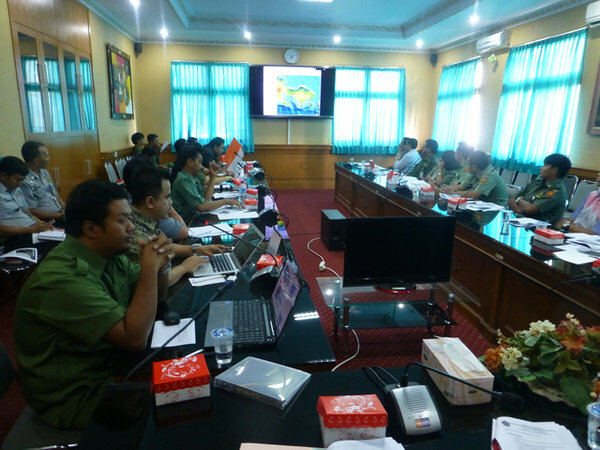 PT Agrisoft Citra Buana was hired by the World Bank for a week of development, and training of Kota Denpasar CPL staff in ongoing use and maintenance of the OpenGeoSuite and GeoNode platform, June 2-6, 2014. 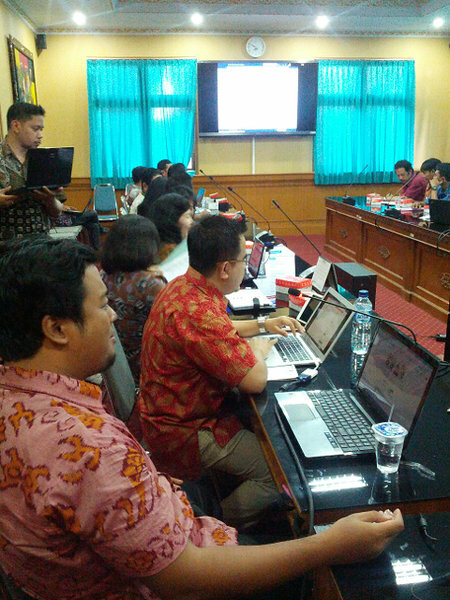 The Kota Denpasar WebGIS offers access to data across web browsers, desktops, and mobile devices. GIS and related documents can be made available together, and linked to each other, and simple tools are provided to create, save, and print simple maps through a web browser or download and read data into a GIS, such as the free, open source QGIS software, to make more complex maps and do analysis. Access controls enable administrators to easily share data openly with the public or restrict access to only approved individuals or groups, at an individual data layer and document level. Denpasar is the capital of Bali province, making it an important hub to other tourism sites on the island of Bali. 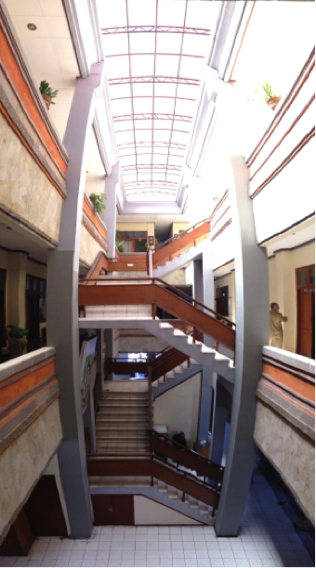 The unemployment rate of Denpasar in 2011 was 6%, and 79.8% of the population works in tertiary sector. The economy grew rapidly at 16.2% in 2010, and has always been growing above 13% annually over the last 4 years. As the economy relies heavily on tourism, it is susceptible to global economic downturn and security issues.